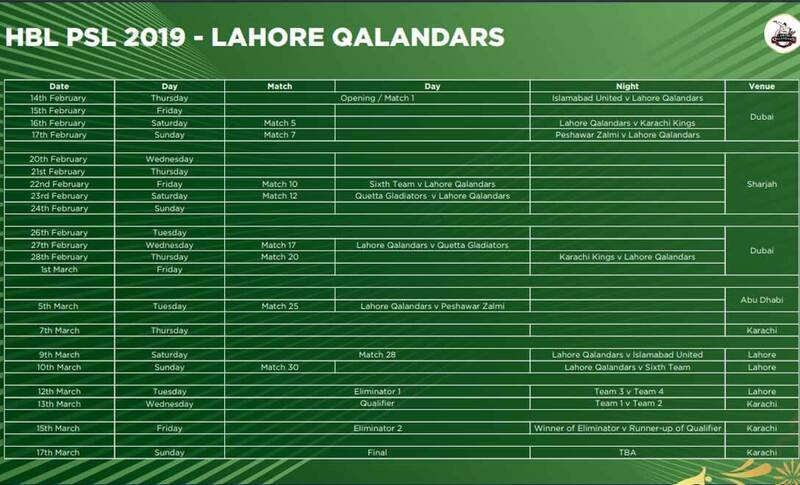 HBL PSL 4 Draft 2019 is just around the corner, the 4th edition of the league will start in a couple of months. 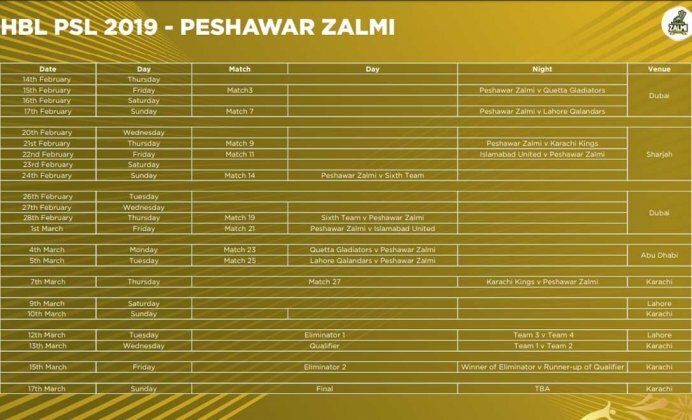 Pakistan Cricket Board (PCB) has unveiled the full schedule for the latest edition of Pakistan Super League (PSL). 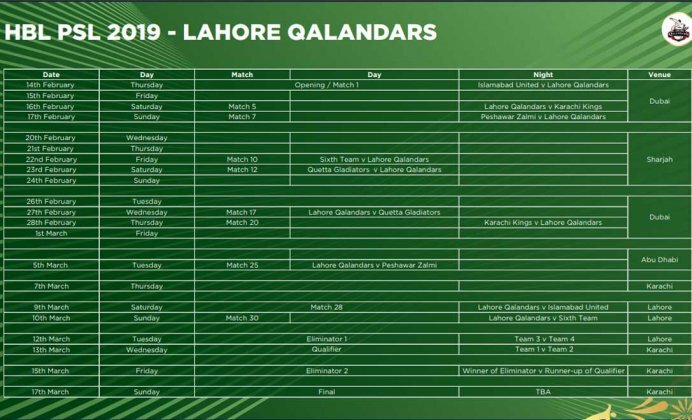 Thirty-four (34) matches will be played in the fourth edition and for the first time in the short history of this highly successful and much-awaited tournament, Lahore and Karachi will share eight matches between them at the back end of the 32-day event. 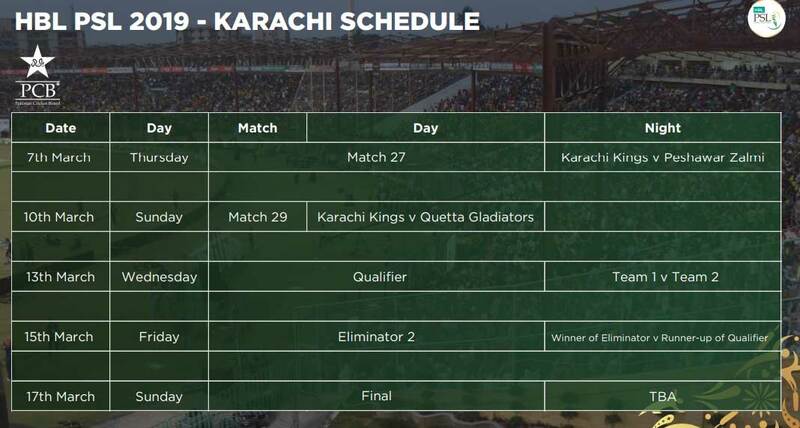 The tournament will kick-start on 14th February 2019 in Dubai, and the final match will be played in ‘The City of Lights’ Karachi on 17th March. Dubai will be host to 7 matches until February 17th. 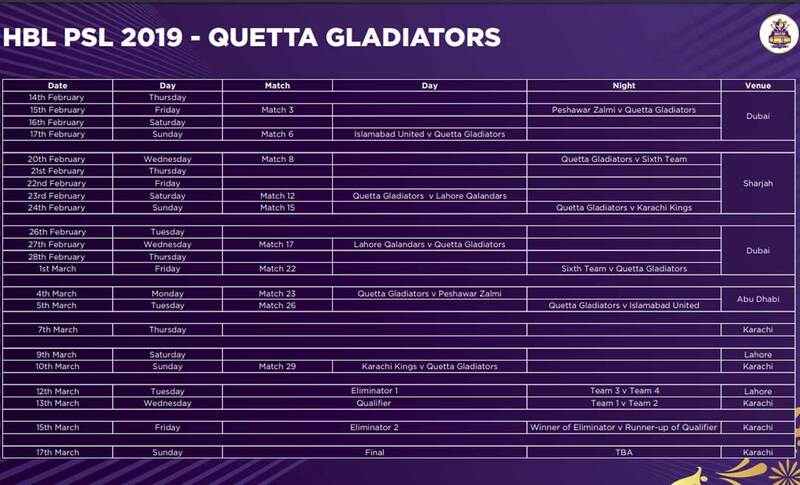 The tournament will continue in Sharjah from Feb 20th-24th for 8 matches. 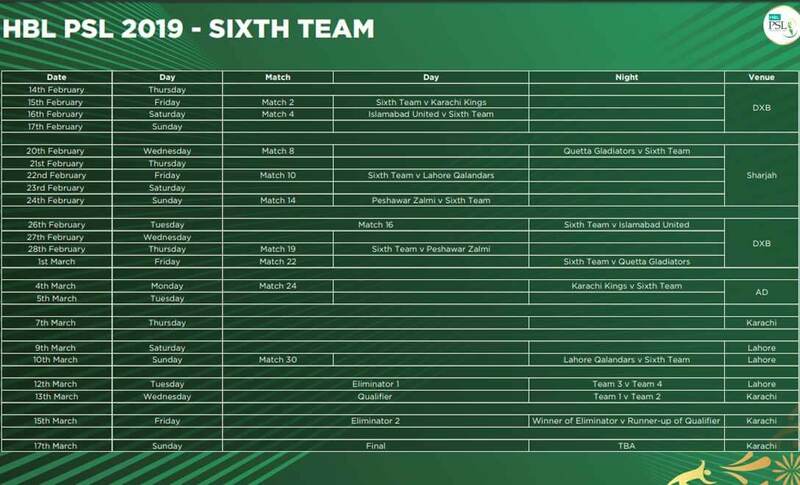 Teams will return to Dubai once again for another 7 matches on 26th February before leaving for Abu Dhabi to play 4 matches from 4th-5th March. 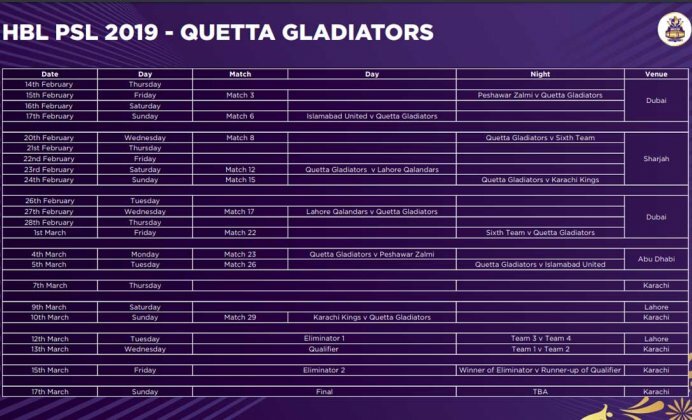 The league will then come home to Pakistan on 7th March where the last 8 matches will be played. These include the qualifying rounds, eliminators and the final. 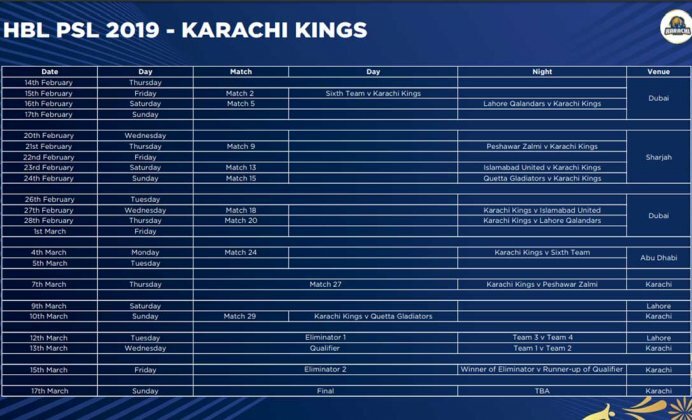 PSL Draft 2018: Players List Revealed! 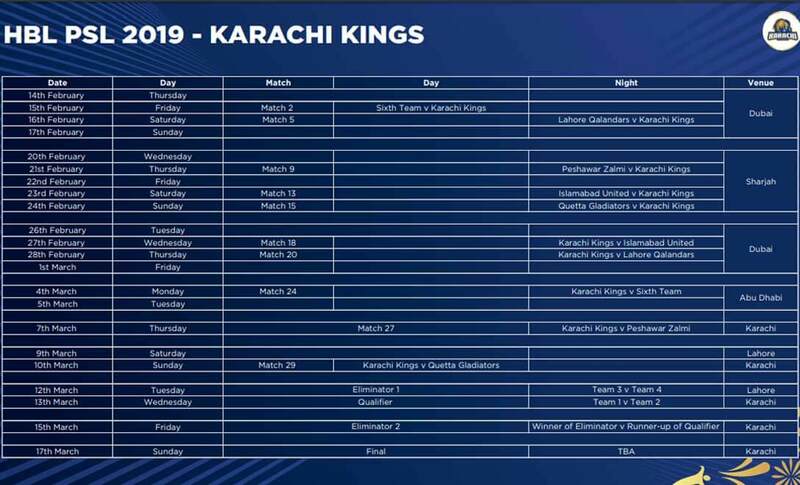 Since Multan Sultans is no longer participating in PSL 4, a new team will replace them. 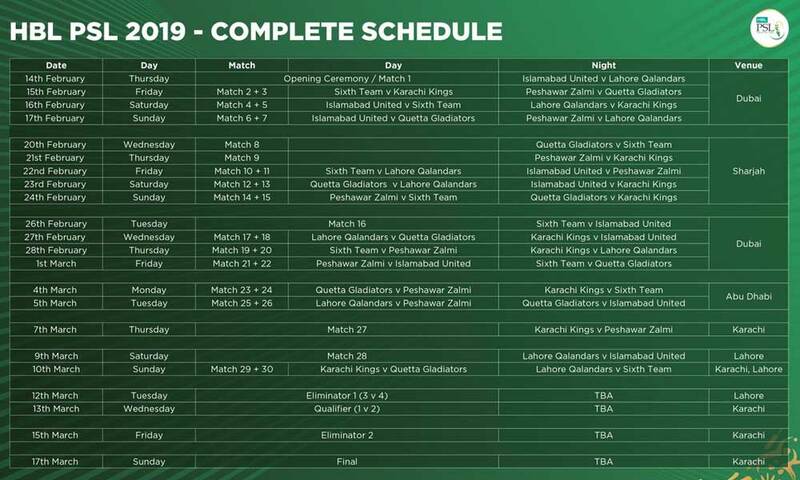 Pakistan Cricket Board has terminated the contract with Schon Properties for Multan Sultans as the franchise failed to meet its financial obligations. Following the termination of the contract, all rights in respect of the team have now been reverted back to the PCB. Platinum (US $570,000): Teams can have a maximum of 3 players with no more than 2 local or foreigners. The base price $160,000 and the maximum for one player is $250,000. Diamond (US $270,000): Teams can have a maximum of 3 players and the base price starts from $80,000, only 1 player can get $100,000. Gold (US $180,000): With base price $50,000, the maximum a team can pay a player is $70,000 with 3 players. Silver (US $140,000): The base price is $24,000. The teams can have a maximum of 5 players with a maximum of $40,000 for 1 player. Emerging (US $25,000): Two players can be in a side with prices of $12,000 and $13,000 respectively. PSL’s Most Valuable Franchise Revealed! Supplement (US $175,000): This category doesn’t have a maximum and minimum payroll. It’s an additional round, allowing teams to pick extra players as a backup. They can pick a maximum of four players from the purse of $175,000. 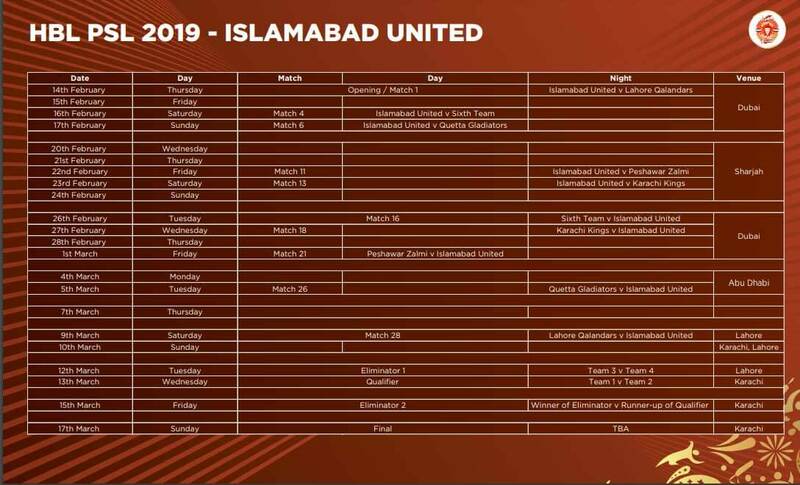 Waqar Younis, who is the mentor of Islamabad United, said: “The HBL PSL is one of the most entertaining but difficult tournaments in which each match counts. You have to turn up at the top of your game every time you step onto the field so that you stay clear of the danger zone. Shoaib Malik, who will captain the sixth team, said: “We have a very balanced side, which is capable of going all the way in the HBL PSL. This tournament is not only designed to provide entertainment to the fans, but is also a vehicle for the local players to learn and getter better by featuring in high-pressure matches and through the presence of international stars.